Brussels - the city at the heart of the Brexit negotiations that everyone is talking about. 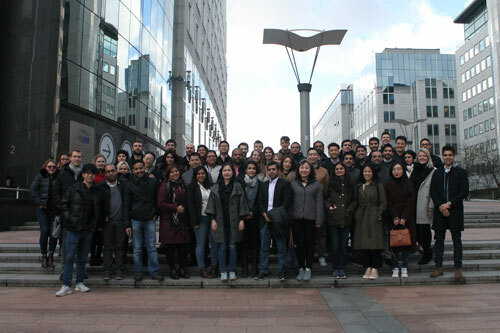 Ahead of this week’s crucial vote on Prime Minister Theresa May’s Brexit deal, full-time MBA students from Cass Business School were given the opportunity to go behind the scenes at the European political capital with an immersive weekend study tour. 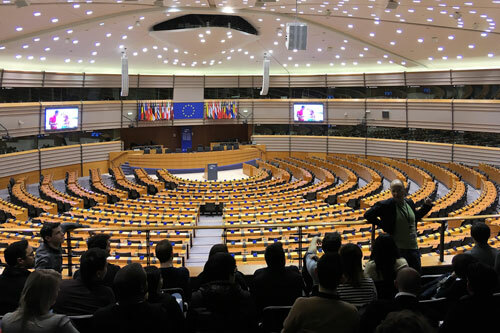 Though a combination of seminars, workshops and a tour of the European Parliament, students were able to discover more about EU institutions including the Parliament, European Council, European Commission and the European Central Bank. They also heard from all sides of the political divide about how the EU works. Henry Wasung from the Directorate-General for Communication explained the various powers and the roles of the EU institutions and Roberto Bendini from the European Committee on International Trade discussed some of the challenges and opportunities offered by Brexit for trade policy. The students also met Jonathan Bullock, Brexit Party MEP for the East Midlands, who answered questions on his support of Brexit and his thoughts on what might happen next in the negotiation process. 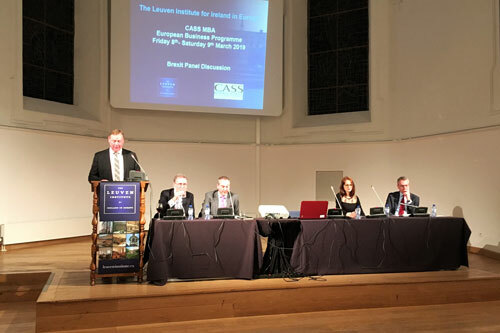 The tour included a Brexit panel discussion at the Leuven Institute, moderated by David Grant, Institute CEO, with Glenn Vaughan, Chief Executive, British Chamber of Commerce in Belgium; Dr Steven Van Hecke, Senior Lecturer in comparative and European politics at KU Leuven; Larissa Brunner, Policy Analyst, European Policy Centre; and Nicholas Whyte, Senior Director, APCO. 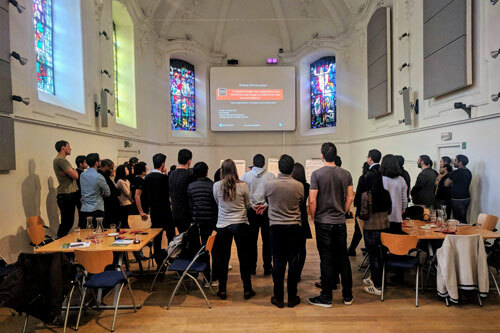 Leadership expert Peter Rosseel from KU Leuven delivered two interactive workshops on digital transformation where students were challenged to think about vision, leadership and organisational culture in a new way. MBA student Billy Fox said the study tour presented an opportunity to think differently about Brexit. His classmate Jamie Coughlan said the experience helped him relate to his MBA. The study tour was led by Cass entrepreneurship expert Dr Annelore Huyghe. She said the tour encouraged the students to consider the implications of Brexit for business, as well as enhancing their understanding of contemporary political events. For student Rhiannon Ludlow, the study tour proved to be a helpful preparation for the next stage of her MBA. 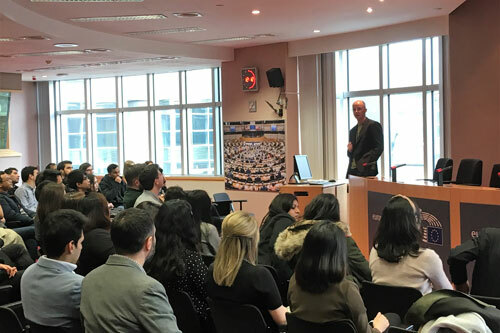 Professor Stephen Thomas, Associate Dean of the MBA Programmes at Cass, said he was he was delighted to hear of the responses of the MBA students who appeared to be really engaged by the political drama and asked visiting speakers incisive and telling questions. Find out more about the full-time MBA at Cass here. 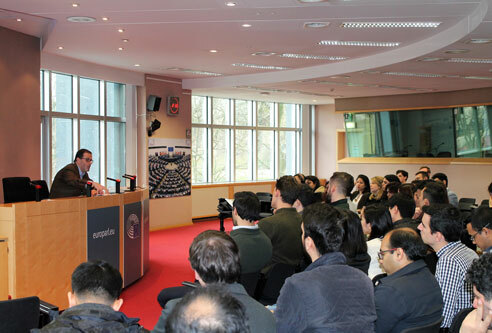 The study tour was organised by the Leuven Institute.